A few weeks ago, we wondered aloud how it would be possible for Marvel Studios to move forward with Iron Man 4 even without the involvement of Robert Downey Jr., but it turns out that glitch may no longer exist. The actor has said in an interview that there are on-going discussions about a possible third Iron Man sequel, and while we don’t have any further details beyond that, it is obviously a very interesting possibility. And the big question, of course, is, "What would the movie be about?" Both gazing into our crystal balls to look at the future of the Marvel Cinematic Universe and also back at the history of Iron Man comics, we’ve come up with three possible plot directions that Marvel Studios may want to go with the potential Iron Man 4. Read through our ideas, and tell us what you’d like to see happen in the comments section! 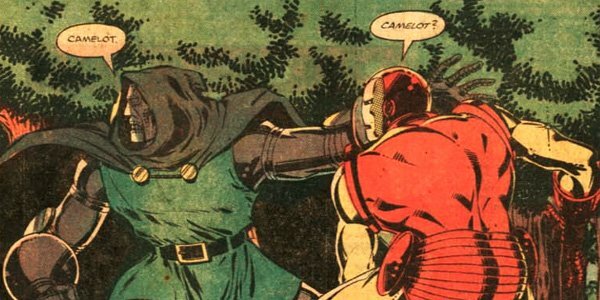 "Demon In A Bottle" is perhaps the most famous arc in the history of Iron Man comics, so it should be no surprise that there has been a good amount of talk over the years about adapting as a feature film for the big screen franchise. 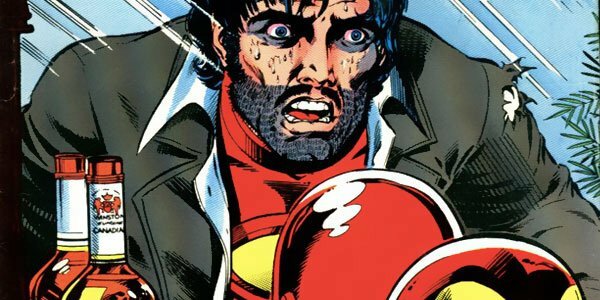 The story, which follows Tony Stark as he nosedives into alcoholism, is a powerful one that brilliantly humanizes the larger-than-life character and confronts big issues in a serious way. And it could potentially be a fitting follow-up to the events that unfold in The Avengers: Age of Ultron. As we learned this past summer, the Joss Whedon-written and directed film will find Iron Man accidentally creating one of the most vicious, unstoppable threats the world has ever seen in Ultron – and while The Avengers may be able to stop the robotic menace, one could see how the events that unfold would make Tony Stark start hitting the bottle hard. The trick here would be finding a way to make the alcoholism play differently in the plot than PTSD did in Shane Black’s Iron Man 3, but that shouldn’t be a difficult task at all in the hands of competent filmmakers. As it turns out, the true villain known as The Mandarin wasn’t actually featured in Shane Black’s Iron Man 3. Instead, the terrorist leader was revealed to actually be a druggie British actor named Trevor Slattery who took on the role as part of a conspiracy driven by a technology company. Of course, that doesn’t mean that the real Mandarin isn’t out there. In fact, as we learned in the Marvel One-Shot All Hail The King, he is not only real, but also extremely pissed off about the actions that were committed in his name. 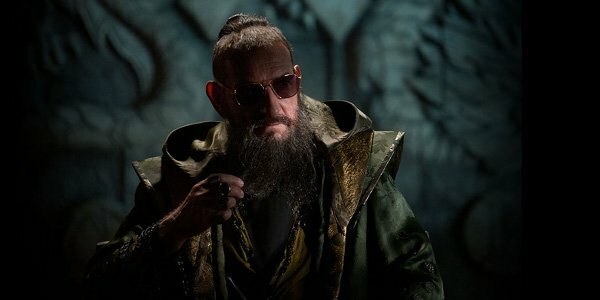 Having the real Mandarin be the villain of Iron Man 4 may seem like it would be a bit repetitious, but it would also give Marvel a chance to cover some areas that wound up getting passed over earlier – such as the fact that the Ten Rings (the Mandarin’s terrorist organization) was behind the kidnapping of Tony Stark in the first Iron Man and that it was the same group that gave Ivan Vanko/Whiplash access to the Monaco Grand Prix in Iron Man 2. Casting might end up being a bit difficult, as topping Sir Ben Kingsley certainly isn’t the easiest of tasks, but it would be a very cool turn of events. Time travel is inevitable in the Marvel Cinematic Universe. It is not only comic book staple (as seen earlier this year in X-Men: Days of Future Past), but we also know that the Time Infinity Stone will eventually be revealed and allow its possessor to travel back and forth in time. This plot device could effectively be used by pretty much any character in the Marvel Cinematic Universe – from Captain America wanting to return to World War II or Star-Lord using it to find out who his dad is – but some serious fun could go down if it were to be used in Iron Man 4. Similar to the way Cap is a fish out of water in the modern world, what if Tony Stark were sent back in time and was forced to get by and find his way home in a world without technology? Creating a bit of an Army of Darkness vibe, the film would definitely be weird, but it would also challenge the superhero to use his ingenuity and cleverness to return to the 21st century. You could even send him back with a modern era villain, similar to the events that unfold in the "Doomquest" comic book arc (albeit with a villain other than Doctor Doom).